Amsterdam’s 2018 Light Festival Illuminates City #ArtTuesday « Adafruit Industries – Makers, hackers, artists, designers and engineers! Many of the works are presented close to the city’s canals, making an even more spectacular scene when reflected in the water below. Sculptures like Jeroen Henneman’s “Two Lamps” pay tribute to this effect as the title references the lamp installed on the riverfront, and the one that is projected into the glassy surface underneath. 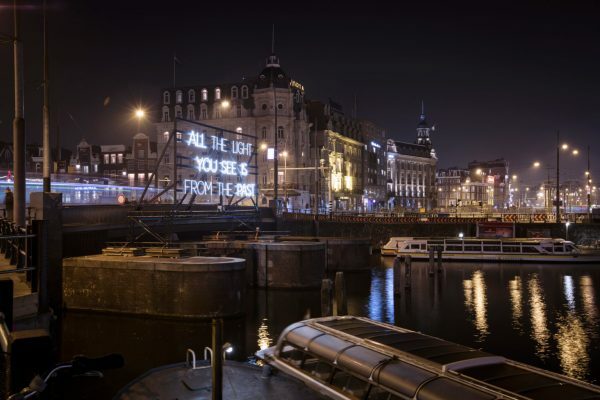 The Amsterdam Light Festival continues to light up the city through January 20, 2019. You can see more documentation of this year’s festival on their website.